Enter your postal address to stickers@fameappeal.com and you will receive your sticker in the mail for free! 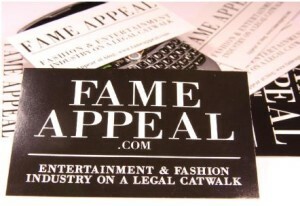 Request your free Fame Appeal Sticker today! May I please have some stickers!! Click on the link and follow the instructions to request the sticker.